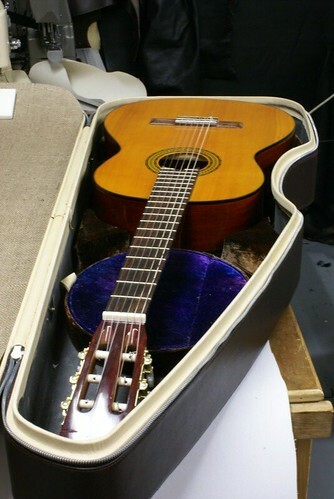 Johan and I were working in his workshop tonight getting the classical guitar suspension system finalised. After much thought I opted for slightly larger suspension blocks than I'd original planned. 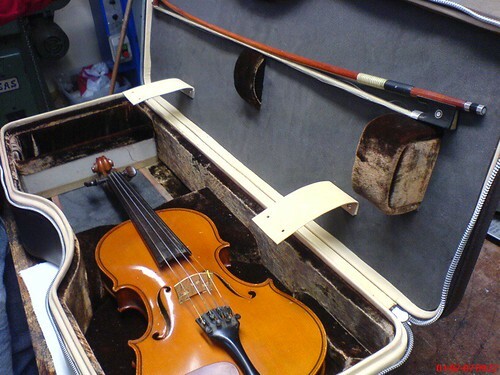 Objectively the original very minimal suspension blocks gave fine protection but subjectively they didn't provide a satisying bed for the instrument. 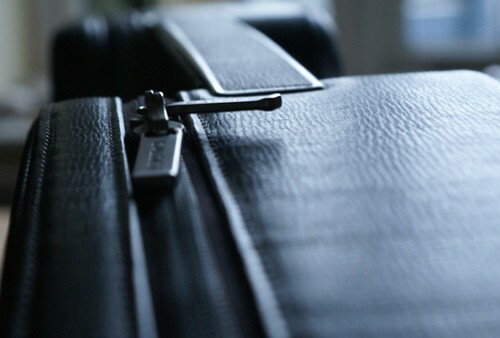 I like the way light falls on the leather and shows up the lines of the case - especially late in the day. 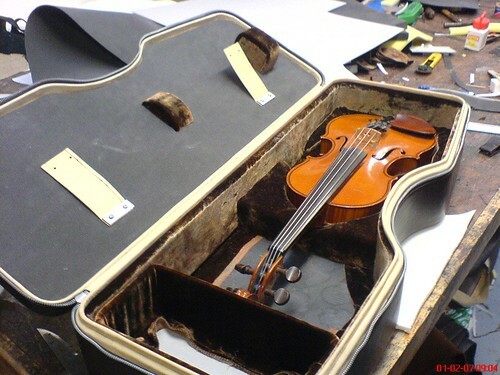 When I see the case looking like this all the hard work we've done seems worthwhile. 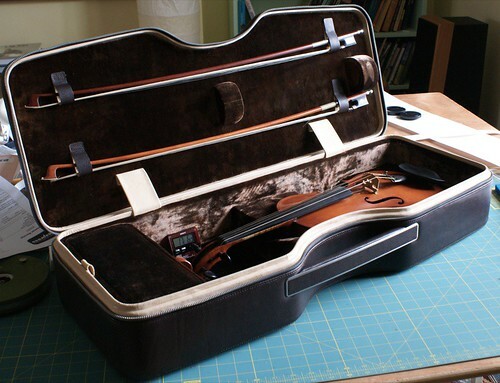 Last Friday Johan finished fitting out Calder violin case #1. 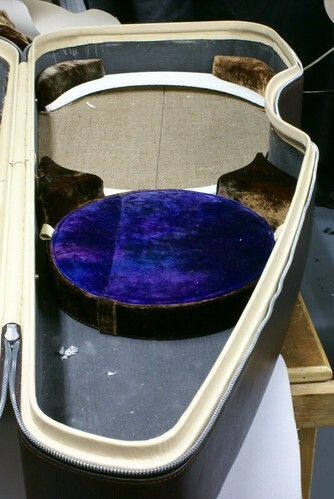 After so much time in development it is deeply satisfying for Johan, Barry and myself to have one case complete. Here's some rough shots - prettier ones will follow. 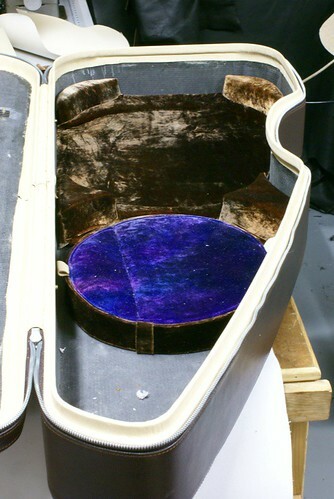 And this is the final bow holder design. I wanted something totally simple using leather only. 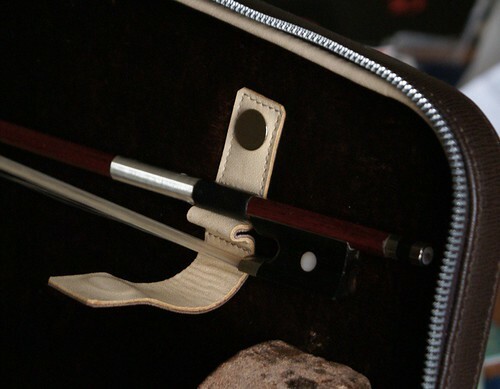 The bow rests on a loop of leather and the strap simply flips over and is held in place with rare earth magnets. 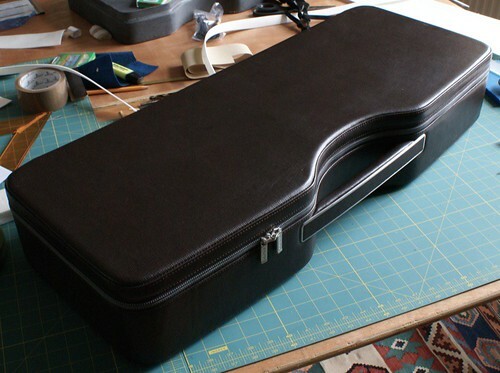 Calder violin case and laptop case work in progress. 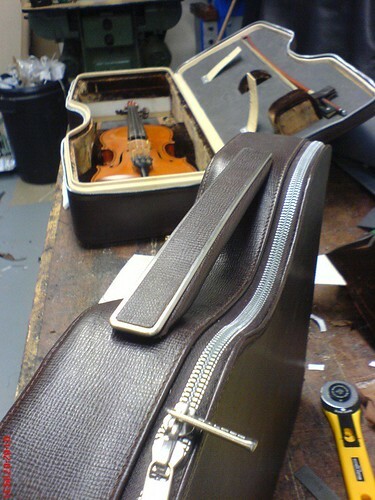 Johan Ulvede has been beavering away on the violin case interior - here are this morning's shots from his workshop. 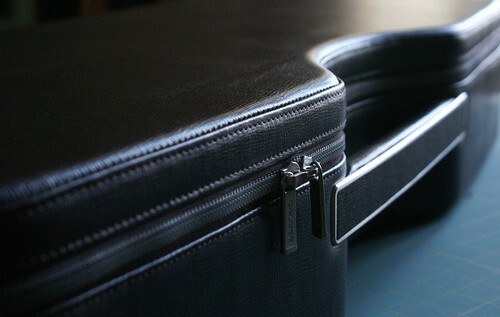 The partly fitted short cream leather straps are to retain the lid. Barry and I are meeting Johan today to finalise the bow holder design - which is why the bow is just resting on suspension blocks. 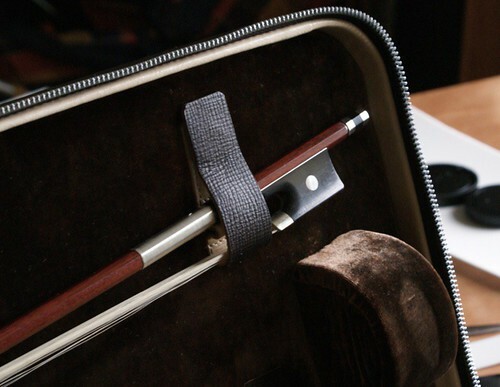 And here's a revised design handle ready for fixing onto the laptop case.